Recently the nave of Notre Dame was the site of a unique meet-and-greet as a handful of fresh Parisian residents were on hand to say hello to their new neighbors. To celebrate the church’s 850th birthday, nine freshly-cast bells are being installed to bring the cathedral back to a former audible glory it hasn’t seen since the 17th century. As charming as it is today to be within earshot of the towers as they bellow out their tones, apparently what we’ve been hearing is a faint echo of what listeners enjoyed centuries ago. 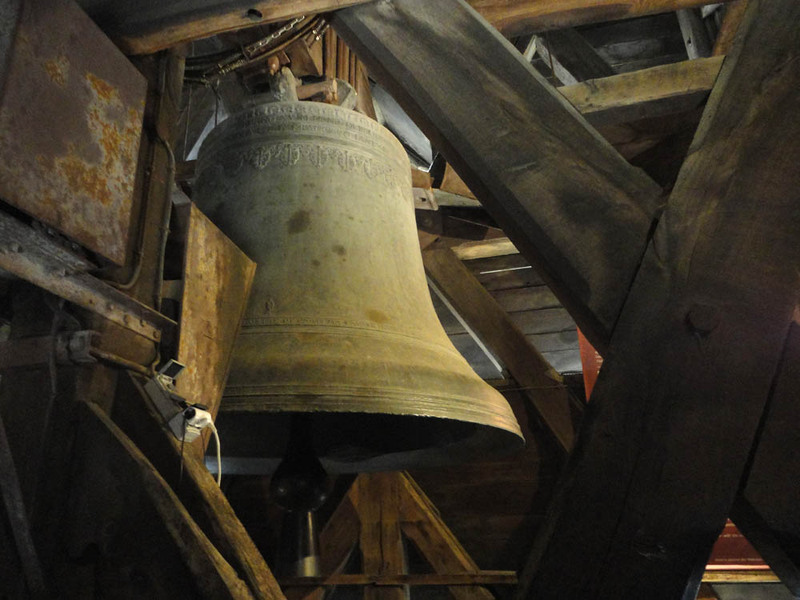 The two large belfries originally held a total of ten bells—twice as many as today–which allowed for a melodic range and harmonic richness worthy of the building that housed them. But the storm of the 1789 French Revolution would tear through much of religious France, reducing 80% of the country’s bells to molten metal bound for cannon molds. 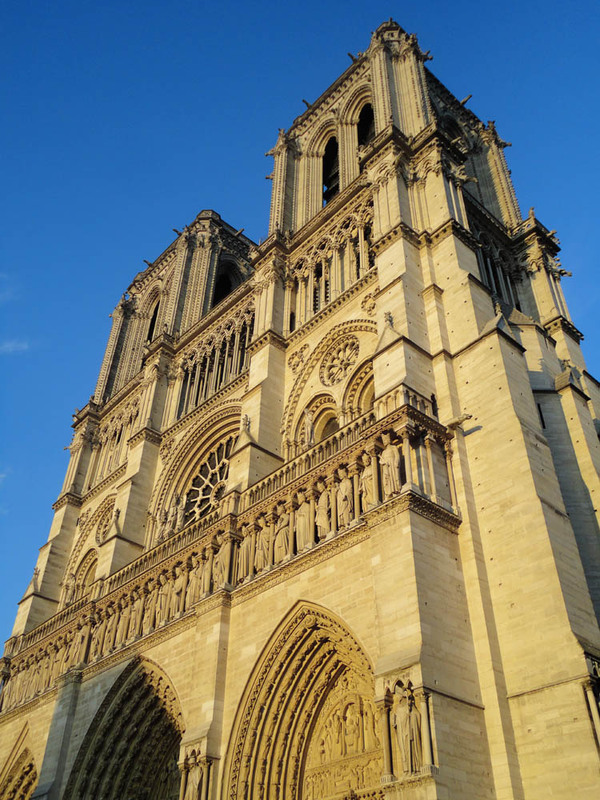 Notre Dame wasn’t spared; nine of its ten bells suffered the same fate. Its largest, a 14-ton bourdon cast in 1686 and named Emmanuel, was dismantled from the south tower but luckily never destroyed. Napoleon would replace it once the revolutionary dust finally settled, in 1802. Later Napoleon III, always keen on completing his uncle’s unfinished business, ordered 4 small bells for the north tower to accompany the sole survivor Emmanuel. This 1856 configuration is the one we’ve come to know today; it chimed to mark the end of World War I, to celebrate the liberation of Paris from the Nazis in 1944, and to honor of the victims of 9/11. 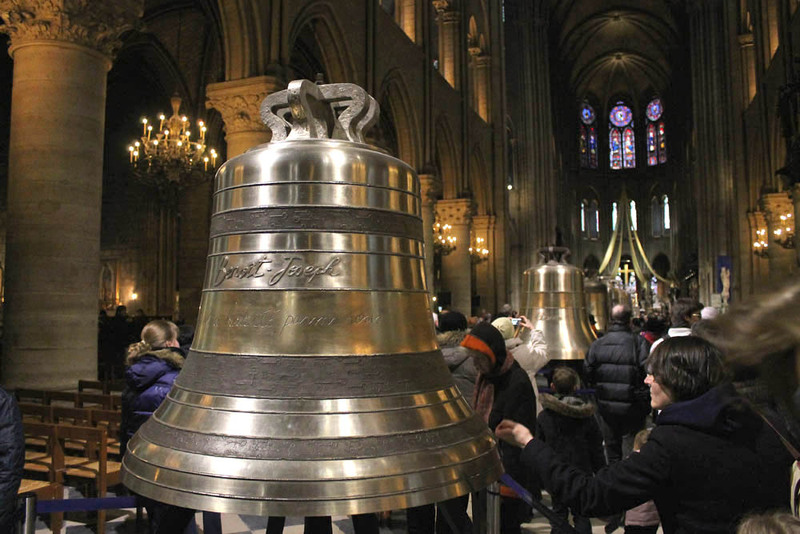 But despite having garnered their own historical significance, the four bells are made of a low quality metal which produces a weak sound and discordant harmonies, making them some of the most out-of-tune bells in France. They were also never properly tuned to Emmanuel, and with only five notes available the melodic possibilities were limited. 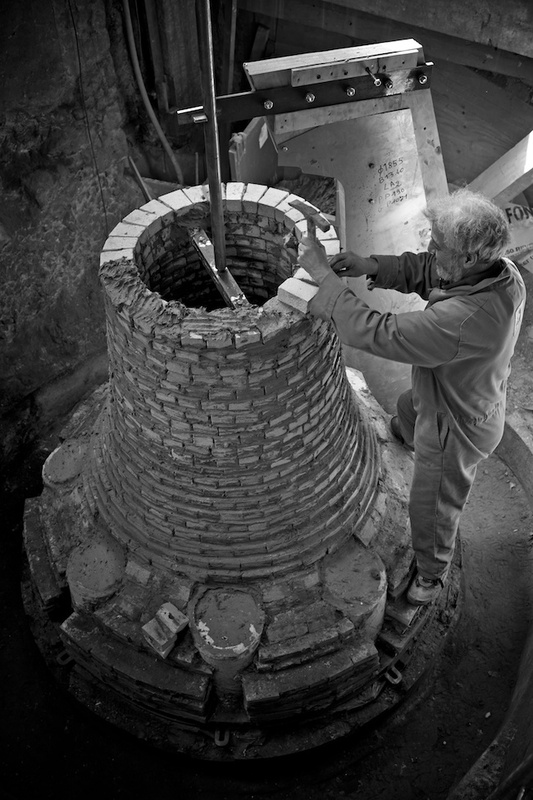 Once cooled, the old-school objects benefited from some 21st century tweaking in the form of computerized analysis to ensure proper tuning. Each bell represents a note of the F# major scale, spanning more than an octave, allowing the church to sing just about any tune it wishes. The largest of them will join Emmanuel in the south tower; the other eight will ring nearby in the north tower. I spend most of my free time wrapped up in the history of Paris, pouring over photos and anecdotes, ingesting dates and names, scanning and dog-earing pages. The number of noteworthy events is as staggering as it is humbling, and it always leads to an inevitable question: How does my life fit into this history, if at all? I often wonder if I’ll ever be lucky enough to witness something chronicle-worthy, to hitch my little mortal wagon to one of those moments and ride it into the history books. As I circled around these new bells I felt like I was doing just that. I observed them from afar and up close; I touched them as if I were touching the distant future and ancient past at the same time. I even rapped my knuckles on a few, coaxing out deep even tones that swelled up softly from beneath the commotion of the crowd. I tried to get my head around it: the vibrations I was producing with my hand would be washing over the streets and stones of Paris for the next…who knows, three hundred years? Five hundred? 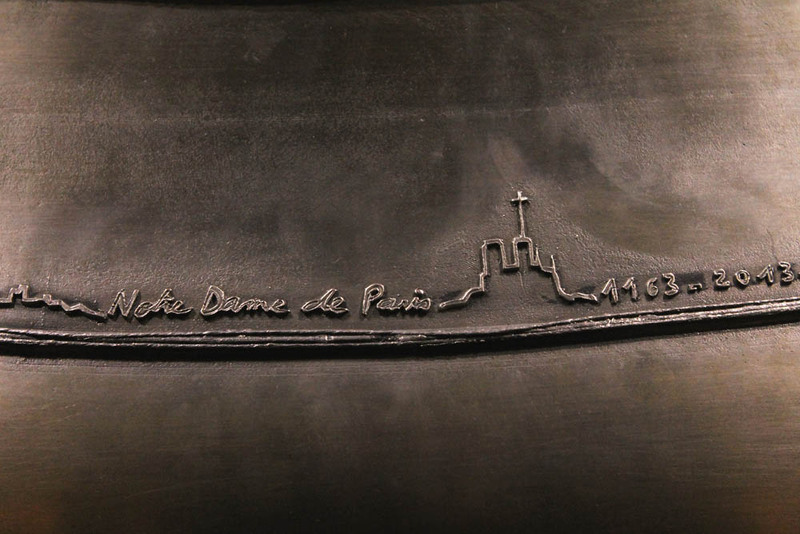 By then they’ll probably be known as the “Historic Bells of Notre Dame”, installed way back in the 21st century. And maybe a handful of future Parisians will think back to those sepia-stained antique days of 2013, imagining what it would’ve been like to be there in person, to be one of the lucky few to make them sing with the rap of a mortal knuckle. For once, it’ll be a historical footnote I won’t need an old photo or anecdote to remember. The bells are scheduled to ring out across the city for the first time on March 23rd. You can bet I’ll be there to listen to them, and you can bet there won’t be a hunchback in the crowd any happier than this one. Wow. I never knew any of this and I lived in Paris for 6 months. I didn’t even know Notre Dame had bells and I walked past it 3 days a week on my way to school. 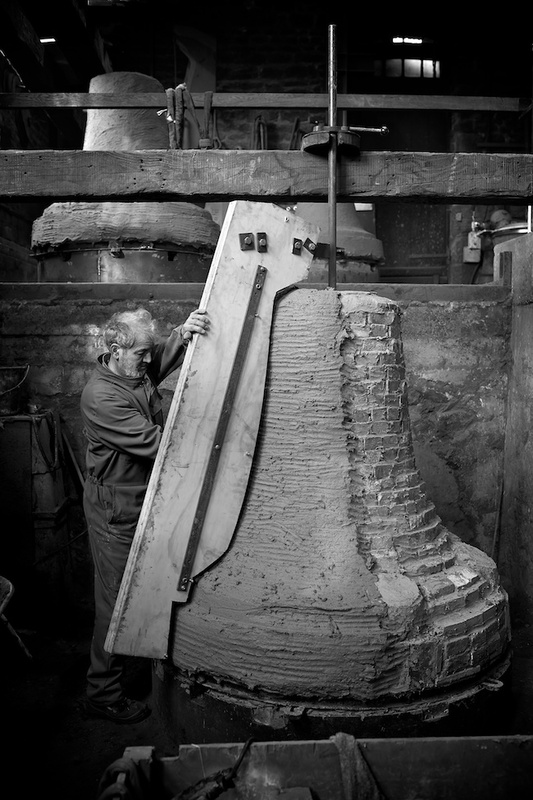 The process behind making the new bells shows so much thought and detail. This is a wonderful project and I’m glad you decided to share it with us. I hope the bell ringing on the 23rd is as incredible as it should be! Thanks Eliza. Yes I’m looking forward to hearing them ring for the first time! You have blown me away with this post, Mr. Frye! 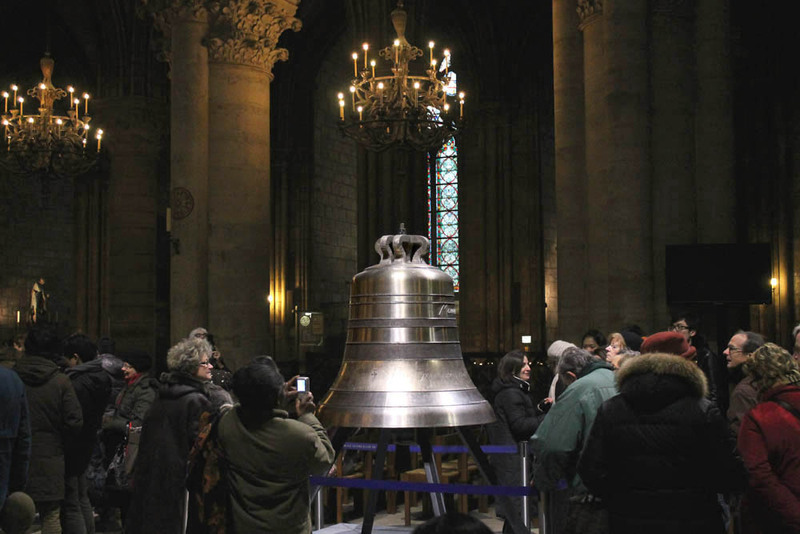 You have somehow combined your wonderful reportage of a current event with the most pertinent historical facts about the bells, and added in a musical lesson — and a dash of metallurgy! — for good measure. Few people would be able to combine so many disparate bits of information into such an engaging, readable and interesting article. Well done! I am already looking forward to your follow-up post … sometime after March 23. Thanks again for a wonderful and supportive comment. It’s like music to my ears (slight pun intended). I hope I get to hear them on my next trip to Paris. Will they toll fairly regularly or just for special occasions? Hi Lee, the current bells tolls quite frequently throughout the day, so yes I think you’ll definitely hear the new ones next time you’re here. Hauntingly beautiful, what a great way to re-create the past and preserve it for the future. My thoughts exactly. There were some folks, even though we haven’t heard much from them, that were apparently upset over the current bells being replaced. I can understand where they’re coming from, seeing as the they’ve become part of history in their own right. I guess it’s another example of that common conundrum in Paris: do we keep the old or spruce it up with the new? Thanks for commenting! Wow thank you for this wonderful history lesson! I’ve never followed French history much but this is so interesting!!! As for another comment above – do we keep the old or spruce it up with the new? You know really, I’m a sentimentalist … always keep with the old especially when it has such a rich story to tell! But i guess sometimes recreations / preservations are necessary evils to let that story survive! 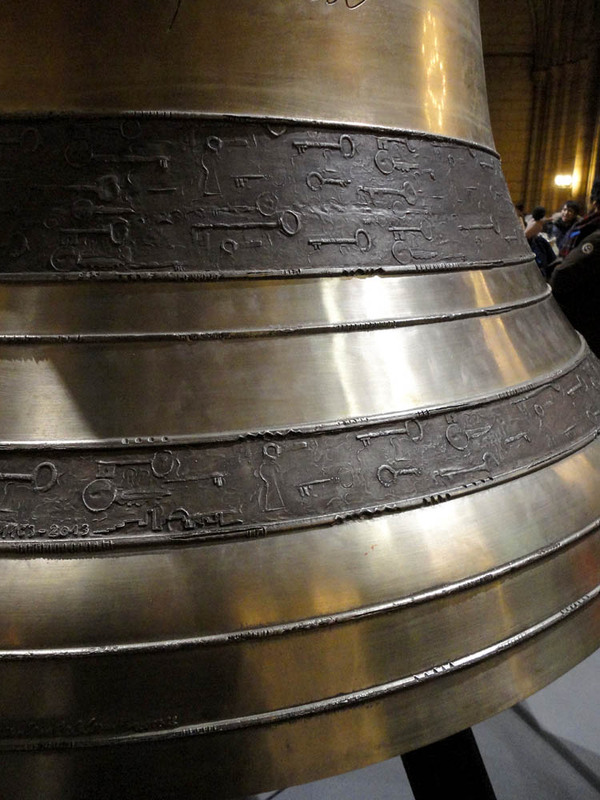 As for the keep-it-or-replace-it issue here, the life span of a bell is a maximum of 300 years, and some last as few as 50. 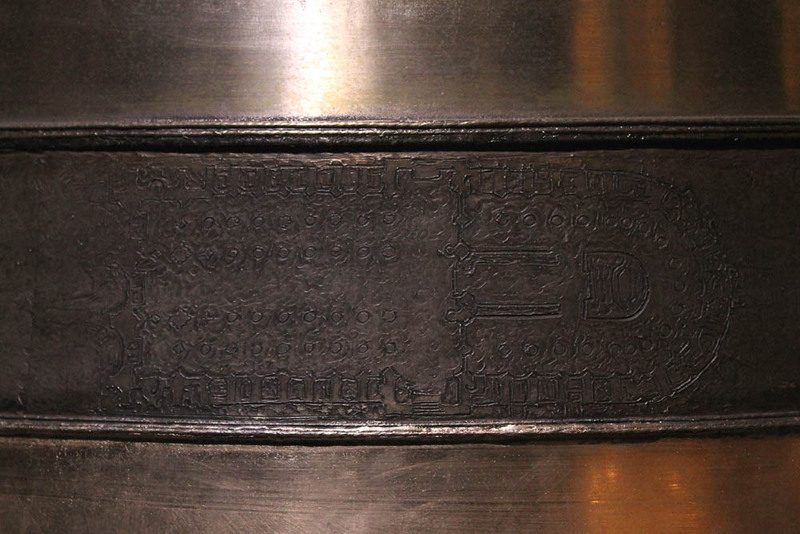 We assume things like metal and stone last forever, but it’s not the case. If Notre Dame itself hadn’t been restored in the 19th century, its sculptures today would look like eroded lumps of sugar–I know because I’ve seen other French churches that haven’t been renovated, and it’s kind of sad. So like you said, necessary evils indeed. Keep finding out the little pieces of history! I wish I could stay somewhere in Europe to do that too, instead of the infrequent trips that allow me to learn so little and cost so much :( Looking forward to reading more from you! Interesting! Thank you for the history lesson! It makes buildings and inanimate objects come alive. My pleasure Jessica, I always feel more connected to the city when I learn new things about its past; I’m glad you feel the same way! Thanks for reading. For me, understanding and remembering history has always been difficult. But I have to tell you Corey, your Paris posts stick with me (except for dates. I usually land in the right century when remembering, but that’s about it.) It must be your writing style (which I love, by the way.) I wish you had been my History teacher, back in the day! You’re quite welcome, I’m glad you find it as interesting as I do. Thanks for reading and commenting! The number of noteworthy events is as staggering as it is humbling, and it always leads to an inevitable question: How does my life fit into this history, if at all? Thanks so much Karin. It seems I’m not the only who has been on this journey before. :) Btw, what brought you to Paris for 4 years? Please report on the 23rd! I once attended a ringing in the tower at the Washington National Cathedral, one memorable event. I believe that my heart would stop were I to witness Paris on the 23rd. What an incredibly fascinating post! Thanks for sharing! Thanks Amanda, glad you liked it. Happy to have you as a reader. What a gorgeous post! Notre Dame is one of my top places i’d like to visit. Thanks for sharing! Ooooh I can’t wait to hear them! I wish I could have been there to touch them too. I have a recording of my family and I sitting outside outside a restaurant in Saint Quentin having lunch during the ringing of the bells there. That sound is just magical mixed with the noise of a busy french restaurant. I have just watched a documentary on the building of Notre Dame -an amazing watch on the History Channel, and your post adds more to my now growing knowledge of this beautiful church – thanks! So glad you enjoyed the post Sherievon; any time my blog can be put in the same sentence as the History Channel, I’ll take that as a major victory! So happy you stopped by and took the time to comment. Wow that’s awesome. Great photos of the new bells. I don’t think I ever noticed hearing the bells either. Yeah I guess you need to be in the right place at the right time (and not be distracted by the rest of Paris) to notice the bells. They ring more often than you’d think for the church’s various masses and such. Thanks for stopping by & commenting! I can’t agree more with all and every comment above: your story is fascinating! Thank you so much for sharing! My pleasure Emilie, so glad you liked it. And thank you for reblogging! I appreciate it. Oh sorry, I’m just now seeing this. Thanks so much for reblogging! Much appreciated. Absolutely magnificent! I don’t know much about Notre Dame but with this great post it gives me some really good information about it that i really enjoyed. I am looking forward to watching your episodes and learning along…thank you! Thanks for leaving a comment Gina, I’m glad I can share Paris with you!